Typically takes 7-10 days to make the chip, so plan ahead! Please read the features of the chip below, and make sure you have a scantool! Yes, I want a secondary chip program [Add $59.99]- Describe the secondary program you would like in the notes (race, alky, etc). Available now for stock injectors, 40lb Redstripe, 42lb disc-style, 50lb MSD/Delphi and 60lb injectors. If you don't own a scantool, then this chip is not for you. If you are expecting to improve and refine the performance of your car, you need a way to confirm sensor readings and troubleshoot. I cannot help you with troubleshooting without any data. A good portable scantool is the Scanmaster 3, sold in this webstore, but something like Tunerpro or Datamaster work well too. A completely new program for the Syclone/Typhoon! 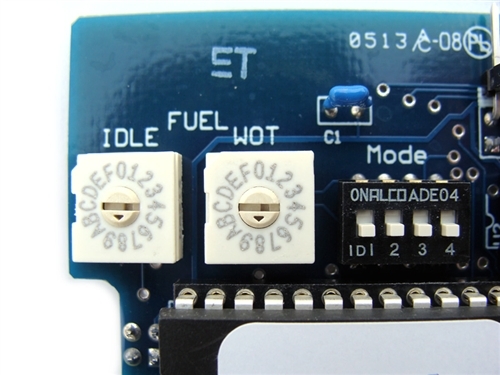 Many improvements to the chip programming to improve cold starts, idle, response, and general driveability. Can be programmed for the stock 2-bar MAP (stock injectors only) or a 3-bar MAP, although a 3-bar MAP is recommended for better boost control. 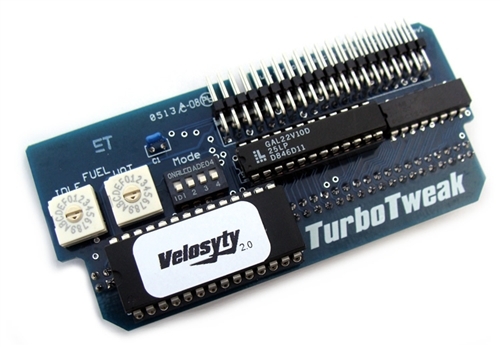 Also includes the ability to read a wideband O2 system (connected to the ECM), and makes corrections at full throttle (above 10psi boost). It will also emulate the stock narrowband O2 if you have a wideband connected to the ECM, so you can remove the stock O2 and replace it with the wideband sensor. The chip is programmed for your setup and the tune is normally fairly close. If adjustments need to be made that can't be corrected with the chip's adjustable parameters, then I do free adjustments for a year from purchase. This does not include changes to the combo (like injectors, turbo, heads, etc), and does not transfer to a new owner. Optional secondary program can be put on the same chip ($55). It is selected by a small switch on the memcal adapter. Also includes user adjustable features. There are other internal user features, these are adjusted using a procedure with the throttle and watching some numbers on a scantool. Note: This part is intended for off-road use only, as it may not meet emissions standards. It is up to the purchaser to determine how it will be used.